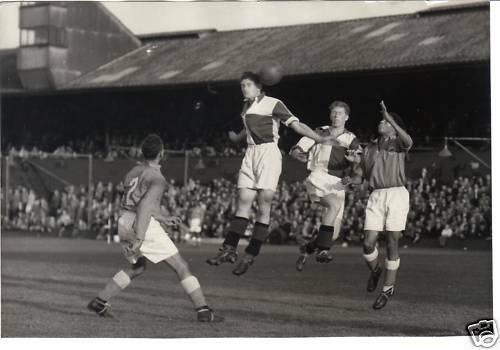 Action during the friendly match between Bristol Rovers and a Trinidad F.A. XI. Bristol players shown are Lyons and Hooper. 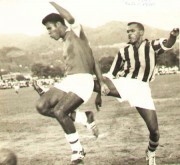 The T&T players are Bernard Garcia and Delbert Charleau.